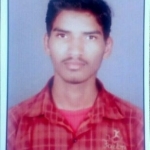 Danesh Mamadapur from Bagalkot, B.E. - B.Tech Graduate. Danesh Mamadapur is Mechanical Engineer and currently have no work experience. CAD CAMD SOLID WORKS ANSYS CIM CNC (MACHINE PROGRAM..
are one of expert skill area's of Danesh Mamadapur . Danesh Mamadapur is working in Quality/Process Control industry.